We need your help keeping our water supply safe. Please click the icon below to take our short survey and help us inventory existing backflow prevention devices in our district as well as potential areas where backflow can occur. If you aren’t sure, check “MAYBE”, and someone from our team will contact you. All customers with piped irrigation systems (residential and commercial), businesses or places with auxiliary intakes, and firelines within WHUD’s service area must have a functioning backflow prevention method or device. Backflow prevents are an important part of the water delivery system; they keep our drinking water safe by keeping unwanted water or other products — mainly runoff or chemicals used during irrigation — from flowing back into the main water lines and contaminating drinking water. While these devices must be installed, operated and maintained by the customer, WHUD tests every device in our service area once a year to ensure proper functioning. Questions? Read our Frequently Asked Questions below, or call us at (615) 672-4110. Submit your inspection request by completing our Backflow Inspection Form. Backflow is the undesirable reversal of flow of water from its intended direction in any pipeline or plumbing system. Backflow is dangerous because it can allow drinking water in plumbing systems to become contaminated and unusable, possibly even deadly. Yes. The Tennessee Division of Water Supply requires all public water systems in the stateto operate an on-going program to protect the public water supply from contamination from possible cross-connections. The most effective method for the water utility to meet this requirement is to require customers to install a backflow preventer on the main supply line to their property or facility, thus protecting the community water system from any cross connections that may be present inside a customer’s plumbing system. 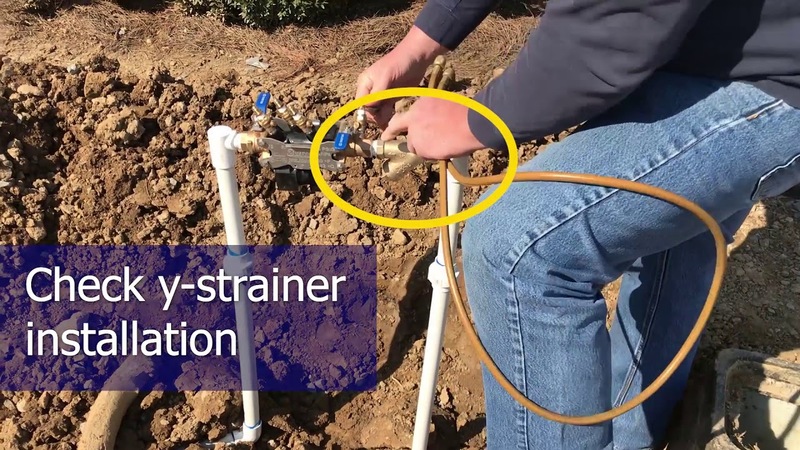 All water users benefit from an active, on-going cross-connection control program that includes the installation of backflow preventers where required by state regulations and local codes. The backflow preventer is installed to protect the public water supply against possible hazards in the customer’s plumbing system. The actual or potential cross connection belongs to the property owner and not to regulatory officials or the water utility. Once the water goes beyond the meter, in many cases the water quality is altered. The water utility does not want the water back, nor do the water customers want to purchase used water. If a backflow preventer is required to keep the water safe, then the person who purchased the, installed and maintained the cross-connection (actual or potential) should purchase, install and maintain the backflow preventer. Any pipe, valve, fixture, etc., in a drinking water plumbing system that may allow the drinking water within the system to become contaminated or questionable in quality. Cross-connections can either be eliminated or protected by an air gap or mechanical backflow preventers. Unprotected cross-connections are prohibited by state regulations, plumbing codes, and local codes. Consult you local water utility for proper methods of cross-connection control. This information is provided by the members of The Tennessee Backflow Prevention Association: Your Help is Needed to Protect the Quality of Our Community’s Drinking Water.